If you want your carpets hygienically clean, without the risks and disadvantages of traditional carpet steam cleaning used by many other businesses, call us now on 13 22 31 for a free, no obligation quotation. f you want your carpets hygienically clean, without the risks and disadvantages of traditional carpet steam cleaning used by many other businesses, call us now on 13 22 31 for a free, no obligation quotation. Choosing the right carpet cleaning company may not be as straightforward as you initially anticipated. Many traditional carpet steam cleaning companies use a hot water extraction system, which relies on a mixture of chemicals and hot water to do the cleaning. This is problematic as it leaves your carpets soaking wet for hours and may potentially lead to shrinkage. Also the nasty chemicals used by most carpet cleaners can leave harsh smells and unwanted residues in the carpets fibres. MyHome Carpet Cleaning Melbourne, will get your carpet hygienically cleaner and leave them feeling soft, smelling fresh, looking great and free from potentially harmful air pollutants. Why rely on traditional carpet steam cleaning, that can leave your carpets soaking wet and prone to shrinkage when we can use our own unique Dry-Touch System that guarantees your carpets will be deep cleaned, dry and ready to use in just 1 hour! You probably already know that if your carpets don’t undergo regular cleaning by a professional carpet cleaner they’ll become damaged permanently with unsightly stains, traffic lanes and discolouring.But there’s an even more urgent reason to ACT NOW!Unclean carpets can also pose a health risk to you and your family exposing them to hrmful air pollutants that creates the perfect environment for asthma, eczema, rhinitis or allergic attack. MyHome Carpet Cleaning Melbourne can hygienically deep clean your carpets and allow you to walk on them dry within 1 hours. Call Us now 13 22 31 for a free, no obligation quotation. You probably already know that if your carpets don’t undergo regular cleaning by a professional carpet cleaner they’ll become damaged permanently with unsightly stains, traffic lanes and discolouring. But there’s an even more urgent reason to ACT NOW! Unclean carpets can also pose a health risk to you and your family exposing them to hrmful air pollutants that creates the perfect environment for asthma, eczema, rhinitis or allergic attack. At MyHome Carpet Cleaning Melbourne, we have developed our own unique six step, Dry-Touch System that will deep clean your carpets reviving the soft look and feel of the fibres, without leaving them soaking wet, prone to shrinkage or smelling of chemicals.Using encapsulation technology, this revolutionary system is so powerful that it not only cleans the area of your carpet you can see, but also the area you can’t. Reaching down to the very base layer, our dry carpet cleaning process removes trapped dirt and debris that can cause smells in your home. , without leaving them soaking wet, prone to shrinkage or smelling of chemicals.Using encapsulation technology, this revolutionary system is so powerful that it not only cleans the area of your carpet you can see, but also the area you can’t. Here at MyHome, we specialise in first class carpet cleaning right across Melbourne. Our services include carpet cleaning, rug cleaning, upholstery cleaning and wood floor and tile cleaning all over Melbourne. With Our Carpet Cleaning Service, you’ll really enjoy your spotlessly clean carpets that are now hygienic, soft, smelling beautifully fresh and looking fantastic. We give all our customers a 100 percent guarantee of satisfaction at MyHome which provides complete peace of mind knowing the job will be done professionally. What’s more, you can also read some testimonials from customers who give their opinions of our service so you can see how satisfied our customers are with our leading-edge carpet cleaning services in Melbourne. When you want us to organise cleaning your carpets, MyHome carpet cleaners are ready to get on with the job. Find out more now, request a free, no-obligation quote just call us on 13 22 31 or submit a form and we’ll call you right back. 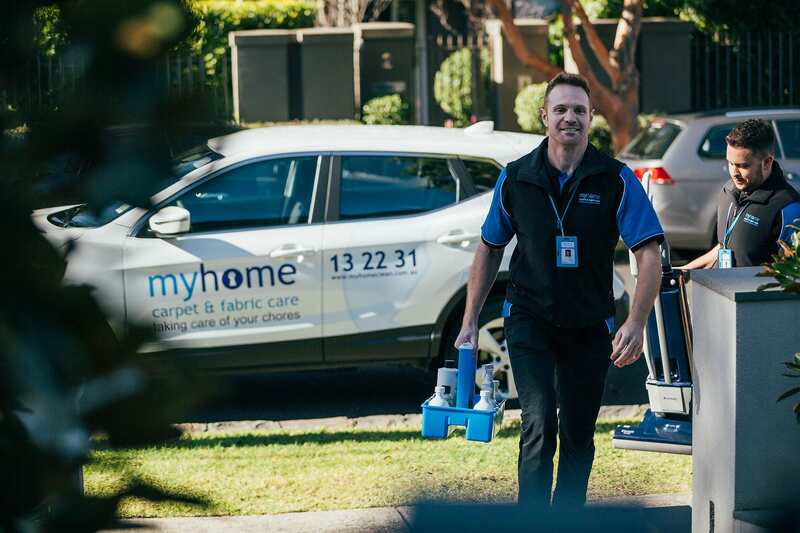 Here at MyHome, we specialise in first class carpet cleaning right across Melbourne. Our services include carpet cleaning, rug cleaning, upholstery cleaning and wood floor and tile cleaning all over Melbourne. With Our Carpet Cleaning Service, you’ll really enjoy your spotlessly clean carpets that are now hygienic, soft, smelling beautifully fresh and looking fantastic.We give all our customers a 100 percent guarantee of satisfaction at MyHome which provides complete peace of mind knowing the job will be done professionally. What’s more, you can also read some testimonials from customers who give their opinions of our service so you can see how satisfied our customers are with our leading-edge carpet cleaning services in Melbourne. When you want us to organise cleaning your carpets, MyHome carpet cleaners are ready to get on with the job.